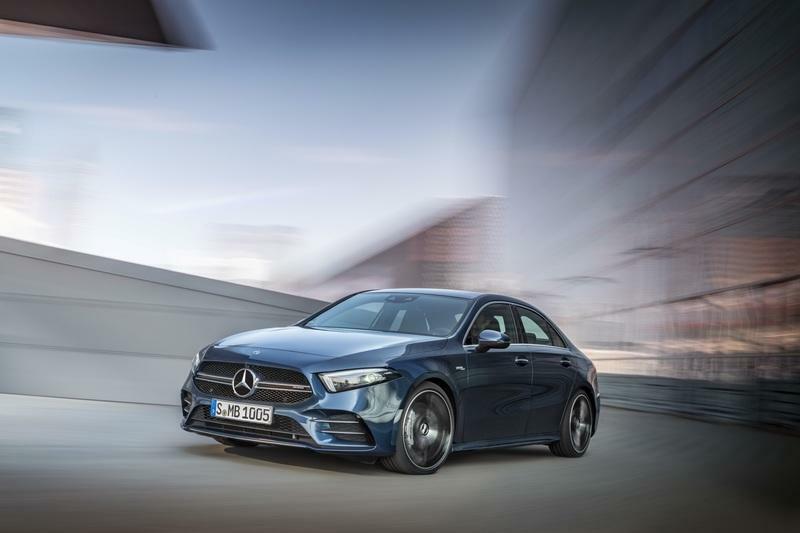 As you might have already guessed, the AMG A35 Sedan combines the four-door design of the A-Class Sedan with the sporty features of the AMG A35 hatchback that Mercedes-Benz unveiled in 2018. 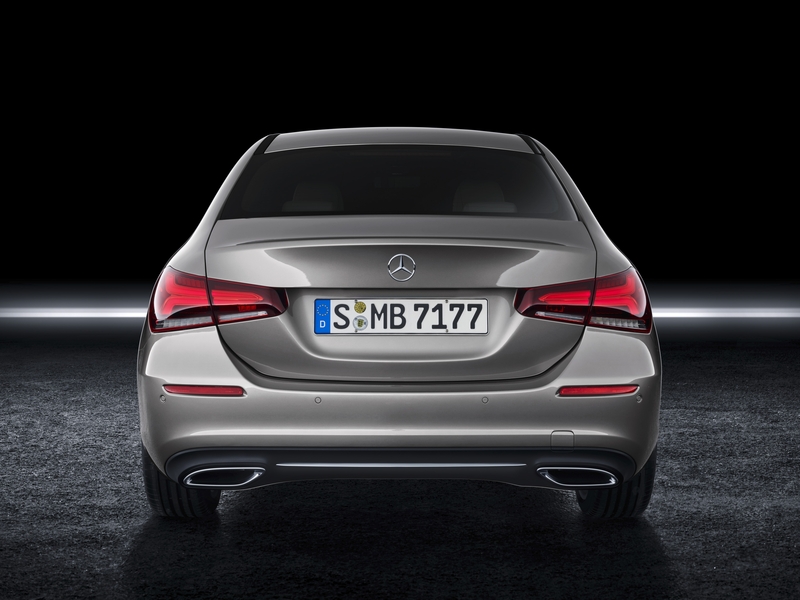 The new, aggressive design of the headlamps already make the A-Class Sedan look like a shrunken CLS up front. The main grille is also based on the CLS in terms of shape and size, but it’s a bit wider toward the bottom on the AMG model. It’s definitely inspired by the AMG GT’s Panamericana grille, but it features a fine black mesh behind the Mercedes star flanked by horizontal slats. The bumper isn’t significantly more aggressive than the regular A-Class. This element was actually taken from the AMG Line and features a bigger splitter and flics in the air intakes. But unlike the hatchback model, it doesn’t have small winglets on the sides. The four-door’s profile remains familiar despite the changes. But that’s mostly because the AMG A35 package isn’t a notable departure from the AMG Line option you can order on the standard model. 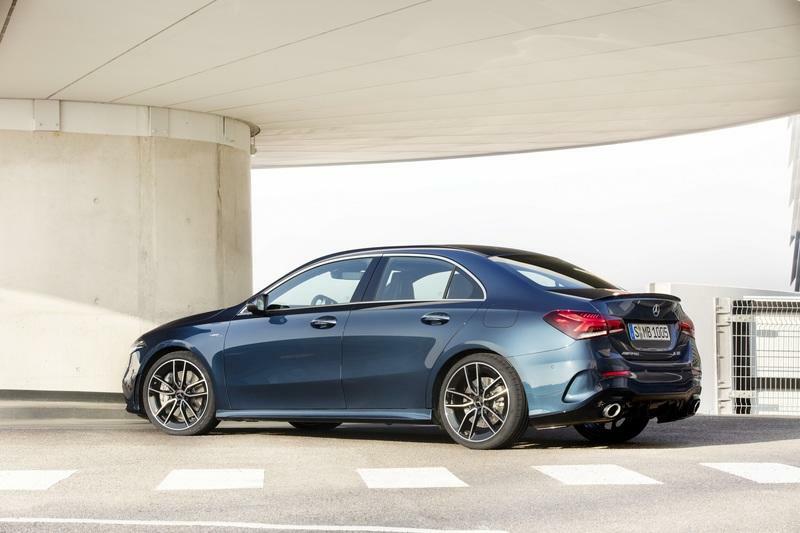 Notable changes compared to the regular model include AMG Line side sills with a slightly sportier design, new 18-inch alloy wheels, and a lower ride height. 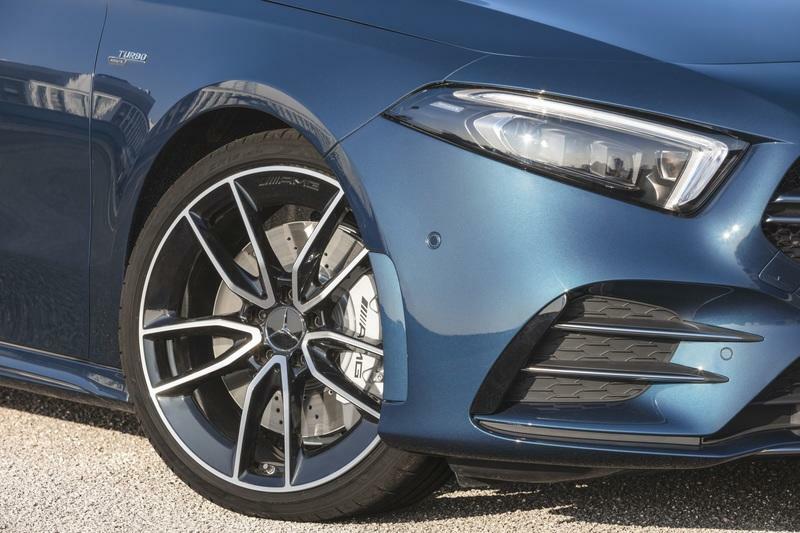 "AMG" badges were added to the front fenders to further suggest that this sedan isn’t a regular A-Class. 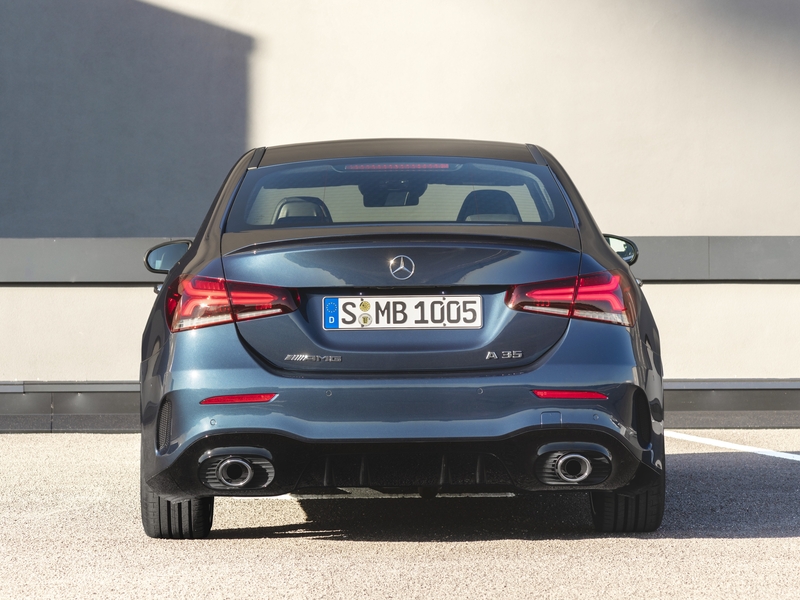 The already familiar rear fascia of the A-Class Sedan sports a few modifications in AMG A35 trim. First up, a small spoiler integrated into the trunk lid provides extra downforce. 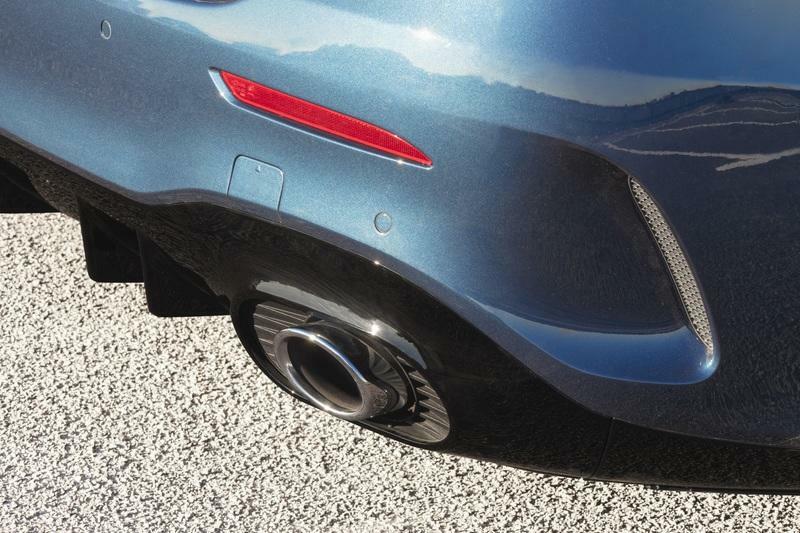 Second, the lower bumper was redesigned to include a sportier diffuser that now incorporates bigger, round exhaust pipes. Again, the sedan is missing the hatchback’s side-vent flics, but it’s decidedly sportier than the regular four-door. We already know that the sedan’s cabin is identical to the new-generation hatchback. And this is great news, as the new A-Class is not only a gorgeous place to spend time in, but it’s also packed with the latest technology out there. The big news is that it borrows some features from the bigger Mercedes-Benz models, setting a new standard in the premium compact segment. The wing-shaped, multi-tier dashboard comes in a two-tone finish and includes turbine-style A/C vents at each corner. More vents can be seen on the center stack, which has a clean, high-tech design. The instrument cluster and infotainment display have the same layout as in the larger S-Class and CLS models. Although not placed under a big hood, they’re connected to each other creating the impression of a really long screen that stretches over the driver’s half of the dashboard. Display options are similar to the hatchback, with the AMG A35 sporting a couple of 10.25-inch screens. Highlights also include a unique ambient lighting system with 64 colors and the brand-new MBUX (Mercedes-Benz User Experience) infotainment system. MBUX has the ability to learn thanks to artificial intelligence, and it can also be customized through augmented reality technology and intelligent voice control with natural speech recognition. 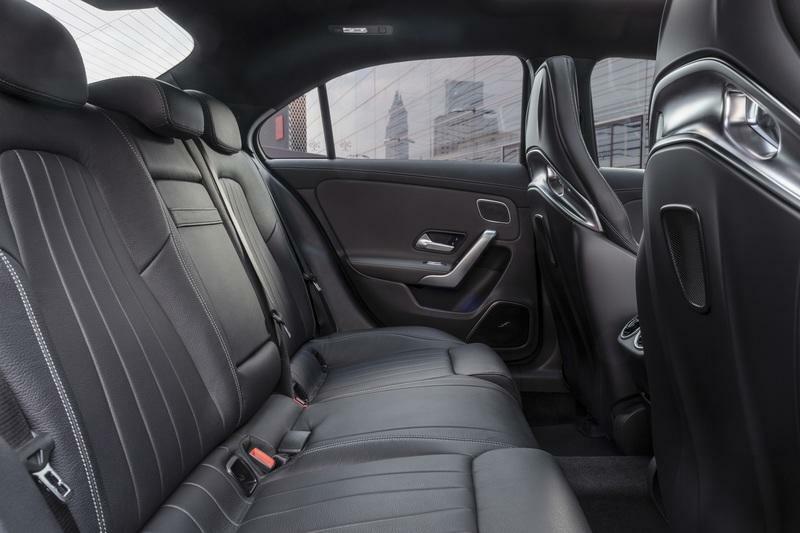 The sedan also benefits from the extra legroom, shoulder room, and headroom that comes with the fourth-generation hatchback. The layout in the rear section remains unchanged for the sedan, and although headroom decreased due to the sloping roof, it’s still the best in its class at 37.16 inches. That’s an extra 0.8 inches over the Audi S3. Granted, it’s not that much, but I can’t deny Mercedes’ bragging rights. So what exactly sets the AMG A35 apart from the regular A-Class Sedan? First up, the sporty seats are covered in leather and microfiber as standard. Just like in the hatchback, the upholstery is all-black, with red stitching adding a bit of color. Red piping on the seats and door panels and red A/C rings complete the AMG look. The standard wheel was replaced by a flat-bottom AMG unit wrapped in perforated leather on the grip areas. It also has red contrast stitching and built-in touch controls that operate the displays of the instrument cluster and infotainment system. The optional round controller with integrated display enables you to activate and change the AMG driving modes. 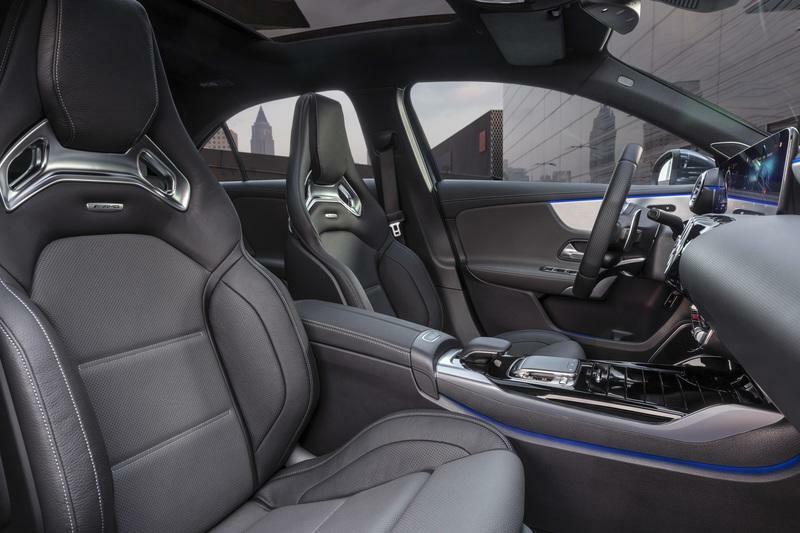 Other extras over the regular A-Class include an AMG-specific center console with piano lacquer finish and additional buttons for ESP, manual transmission mode, and Adaptive Damping System, as well as bespoke start-up screens and apps. Finally, you can order the AMG Track Pace app that records performance-related data to provide you with info while racing the car on the track. The app includes tracks like the Nurburgring and Spa Francorchamps, but it also lets you record your own circuits. The AMG upgrade doesn’t negatively impact trunk space. The AMG A35 comes with 14.8 cubic feet of luggage room, an extra 1.4 cubic feet over its main competitor, the Audi S3 Sedan. Impressively enough, it’s only 1.8 cubic feet below the larger CLA sedan. BMW has yet to launch the Gran Coupe version of the 2 Series as of this writing, but the four-door won’t have notably more space than the coupe, which offers 13.8 cubic feet of room, one below the AMG A35. 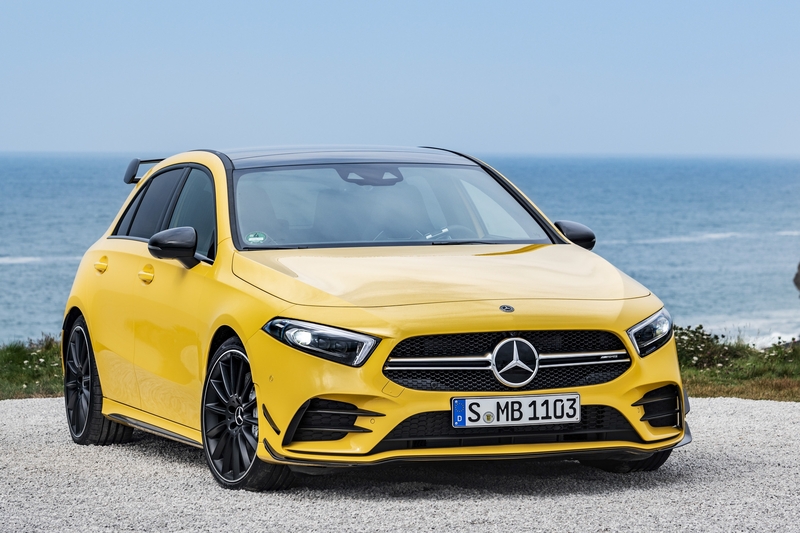 As the name suggests, the AMG A35 slots below the beefed-up A45 and above the A250 model. 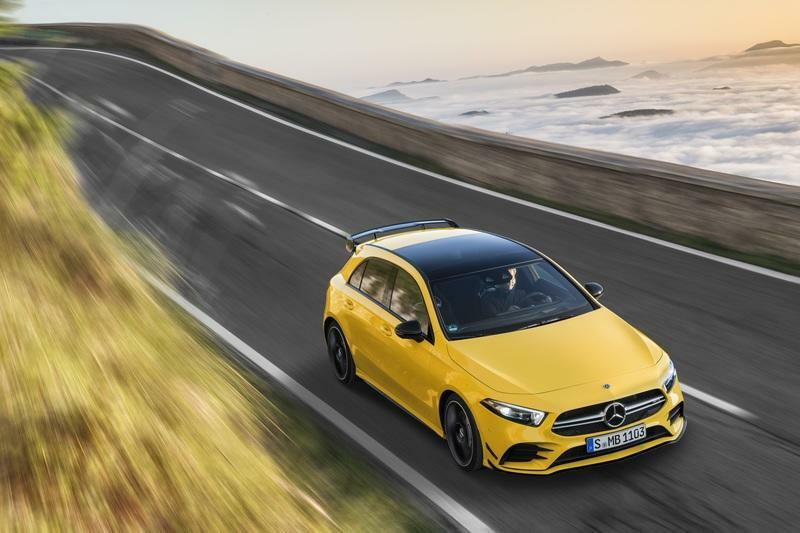 The A45 is predicted to have at least 400 horsepower, while the new A250 features a turbocharged, 2.0-liter four-cylinder rated at 224 horsepower. 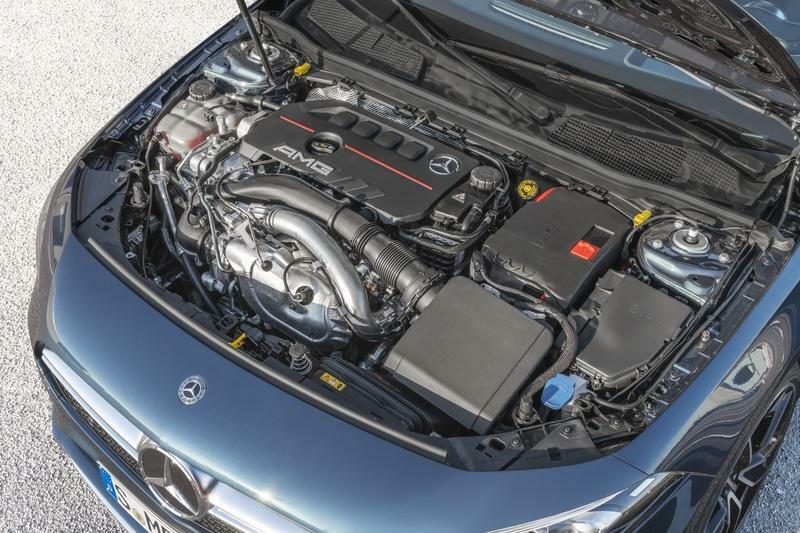 While my initial prediction included a hybrid EQ Boost drivetrain similar to that in the AMG CLS53, the sedan arrived with a beefed-up version of the A250’s four-cylinder mill. The engine cranks out 306 horsepower and 295 pound-feet of twist, an extra 85 horses and 37 pound-foot over the A250 version. Needless to say, it splits the difference between the A250 and the upcoming, 400-horsepower AMG A45 quite nicely. All that oomph travels to all four wheels through an AMG Speedshift dual-clutch transmission and a 4Matic all-wheel-drive system. The gearbox has a special setup for almost spontaneous acceleration, as well as a Race-Start function for quicker off-the-line sprints, a cool feature given that this isn’t the range-topping A45. The AWD system was also revised specifically for the AMG A35. It keeps the vehicle front-wheel driven most of the time, but it delivers a perfect 50:50 distribution to the front and rear axles when the road is slippery or when you need the extra traction for quick sprints. A multi-disc clutch that is integrated into the rear axle transmission is responsible for the variable torque distribution. How quick is the AMG A35 Sedan? Hitting 62 mph in this four-door takes 4.8 seconds. 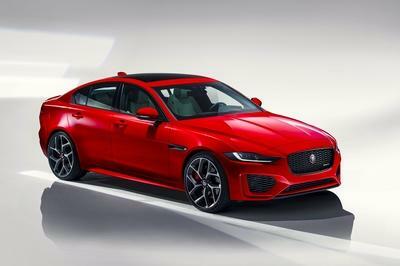 That’s a tenth-second slower than the hatchback, which is a bit disappointing, but at the same time, it’s one and a half seconds quicker than the A250. Cool! Compared to the Audi S3 Sedan, the AMG A35 Sedan falls behind the only four horsepower and delivers the same amount of torque. Not surprisingly, the S3 Sedan is just as quick to 62 mph, a benchmark it achieves in 4.8 seconds. Top speed for the two sedans is also identical at 155 mph. 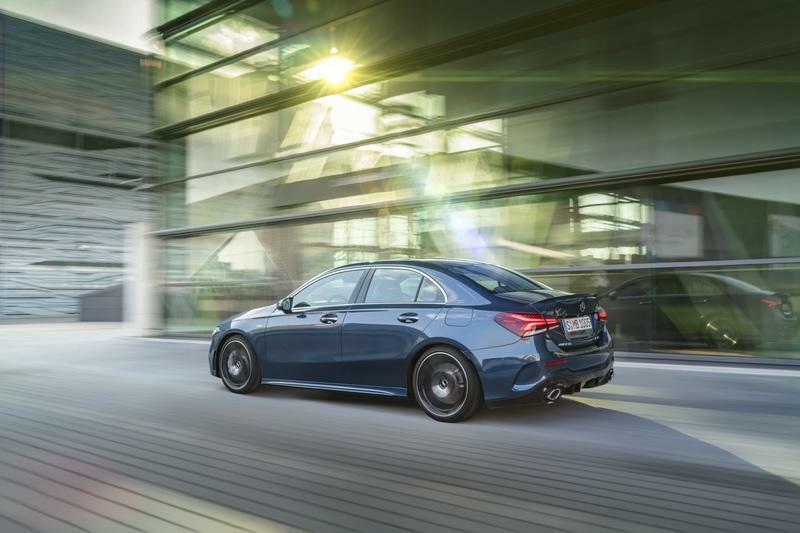 Just like the hatchback, the sedan features an AMG Dynamic Select program with five driving modes. "Comfort" is the default setup and sets the suspension and steering for comfortable and fuel-efficient driving. The start/stop system is active in this mode, while the transmission is set up for very early upshifts. When the "Sport" model is selected, the emphasis moves on agility and sporty driving. The engine note becomes more aggressive, while the start/stop system is turned off. "Sport+" has similar settings but also introduces double-declutching during downshifts and partial cylinder cut-off. Next up is "Slippery," a brand-new mode optimized for slippery road conditions. It features reduced power and a flat torque curve, upshifts come earlier, and gear changes are smoother. Finally, the “Individual” driving program enables you to modify individual parameters and save them in a personal driving mode. Just like its hatchback counterpart, the sedan’s suspension was revised in order to handle the extra power. The four-door rides on the same McPherson strut system in the front and four-link axle in the rear, but both are firmer for a sportier ride. The AMG model also sports a bolted aluminum plate under the engine and additional diagonal braces for increased torsional stiffness. The braking system was also upgraded compared to the standard A-Class. The AMG A35 uses a higher performance system that shares some features with the outgoing A45 mode. 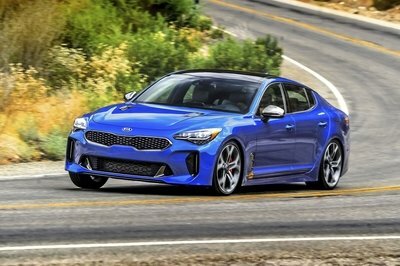 In the front, it has new four-piston Monoblock calipers with 13.7-inch discs, while the rear wheels are fitted with one-piston, sliding calipers and 13-inch discs. As it is the case with all Mercs, the AMG A35 is one of the most modern vehicles in its class in terms of safety features. The impressive array of active and passive systems that debuted in the A-Class hatchback made it into the sedan, starting with the car’s ability to keep a close eye on the traffic with an improved camera and radar systems that allow it to see up to 500 meters (0.3 miles) ahead. In conjunction with navigation data and Active Distance Assist Distronic, the sedan is pretty close to being a semi-autonomous vehicle. 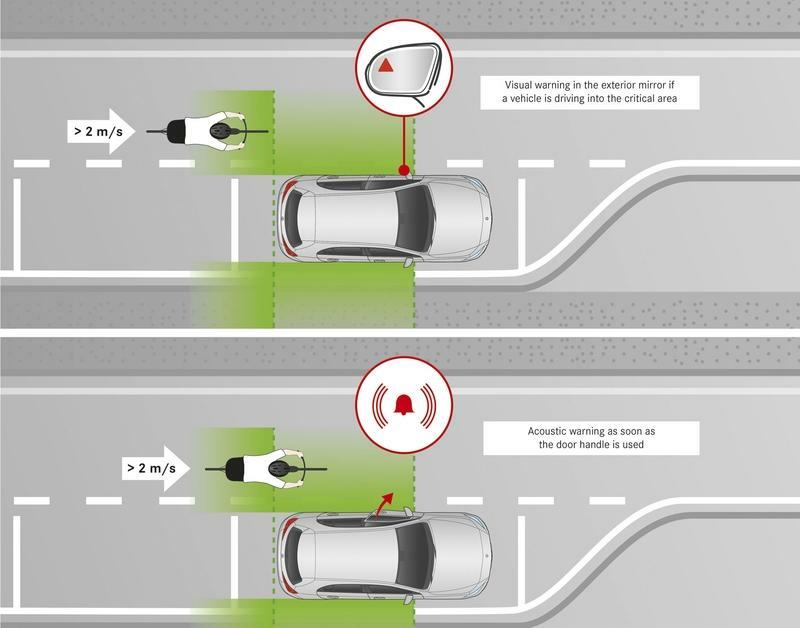 Other safety features include Active Emergency Stop Assist, Active Lane Change Assist, and Active Brake Assist as standard. The Pre-Safe Plus, found on larger models, is offered as an option. Passive features include airbags for the driver and front passenger, a driver’s knee bag, and window bags on both sides as standard. The latter also covers the A-pillar, a first in this segment. Thorax-pelvis side bags are standard in the front and available as optional equipment in the rear passenger compartment. 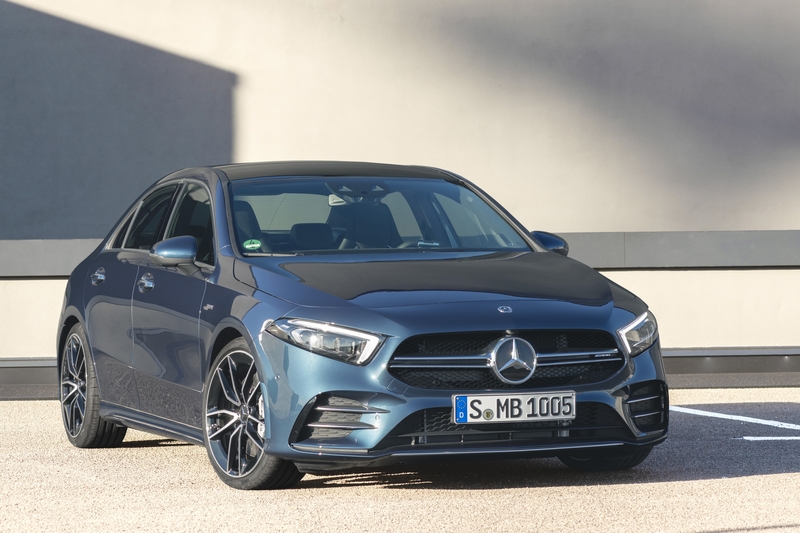 Pricing information for the AMG A35 Sedan is not yet available, but we do know for a fact that it’s coming in the U.S. With the standard A-Class Sedan priced from $32,500, the AMG A35 should come in at around $45,000 before options. Much like the Audi A3 was the first premium hatchback, the A3 Sedan was the first three-box vehicle to enter the premium segment. It happened in 2013, and it took more than four years to get a proper competitor. With the A-Class Sedan and the upcoming AMG A45 Sedan set to go against the regular A3 and RS3 respectively, the AMG A35 will take on the S3 Sedan version. Available since 2013 and updated in 2017, the S3 badge adds a handful of sporty features on the outside and extra equipment inside the cabin. 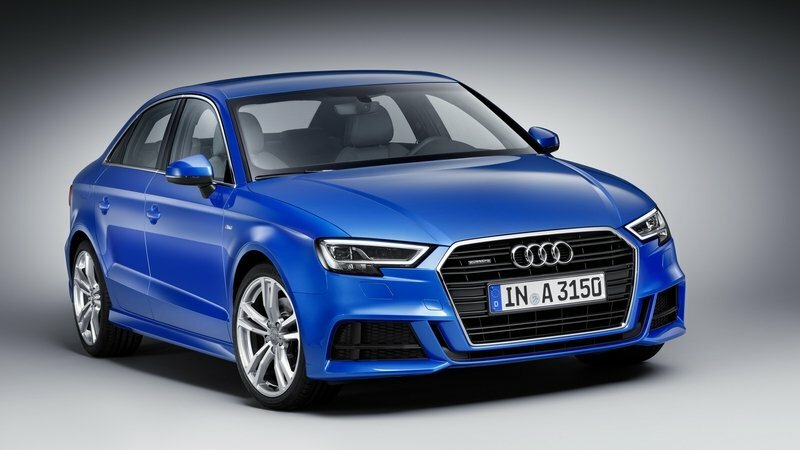 But it’s the drivetrain that makes the S3 an appealing four-door, as the turbocharged, 2.0-liter four-cylinder engine cranks out an impressive 310 horsepower and 295 pound-feet of torque. This output is available for U.S. cars with the seven-speed S Tronic automatic transmission. In Europe, the manual version delivers 280 pound-feet. Sprinting from 0 to 62 mph takes 4.8 seconds, while top speed is limited to 155 mph. Pricing starts from $44,500. Read our full review of the 2018 Audi S3 Sedan. After years of rumors, BMW finally introduced a three-box body style for the 1 Series hatchback. Unfortunately, the German sedan comes with two issues. For starters, it was designed for the Chinese market only. This could change in the future, but for the time being, you can’t buy it anywhere else in the world, not even in Europe. Second, even though it may compete against the AMG A35 in China, BMW has yet to offer a higher performance variant. For the time being, the 1 Series Sedan won’t be able to match the power of the Audi S3 and the Mercedes-AMG A35. 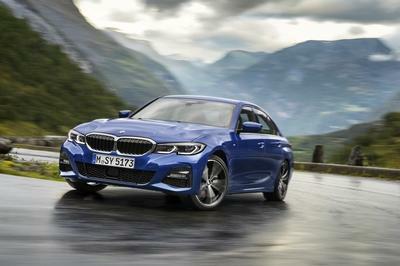 Its most potent iteration is the 125i, which sports the familiar 2.0-liter four-cylinder engine rated at 231 horsepower and 258 pound-feet of torque. 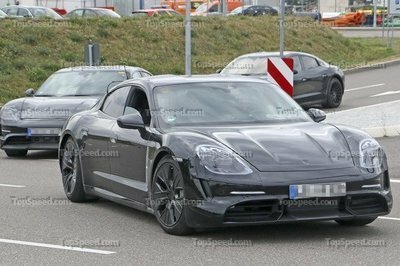 It’s not exactly a slouch, but it’s a full two seconds slower from 0 to 60 mph. 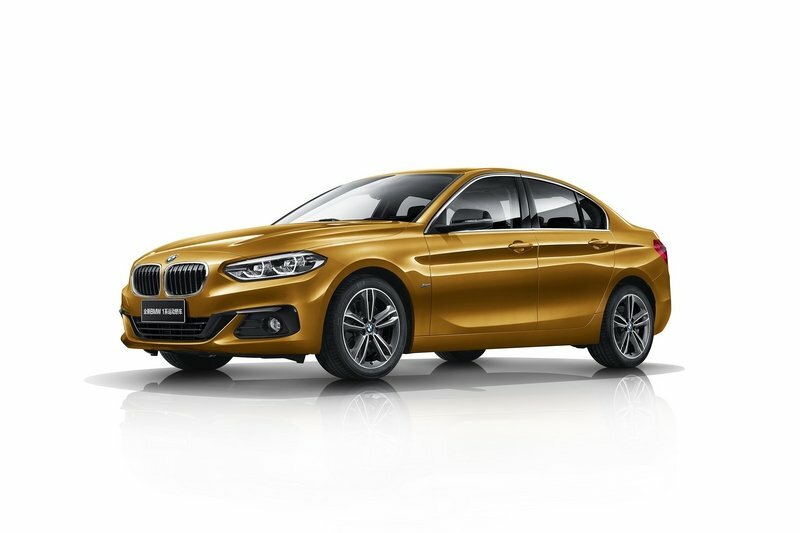 Read our full story on the BMW 1 Series Sedan. BMW already confirmed that the 2 Series coupe will feature a four-door Gran Coupe variant starting 2020. Based on the upcoming 2 Series, it will feature a front-wheel drive variant, but xDrive AWD will also before. We don’t know much about this car right now, but once it’s here, it will become the A-Class Sedan’s most important rival. While the M2 will be way too quick and powerful for the AMG A35, BMW will probably offer an M240i variant with more than 300 horsepower and 350 pound-feet of torque. As these output figures suggest, the M240i Gran Coupe will be notably quicker than the Merc. 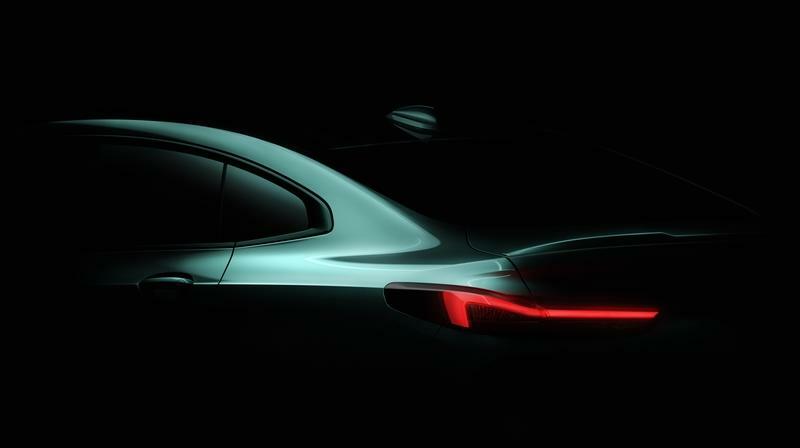 Read our speculative story on the upcoming BMW 2 Series Gran Coupe. Although I’m not a big fan of the current industry trends with all sorts of niche models, I’m actually glad that Mercedes created a sedan version of the A-Class. 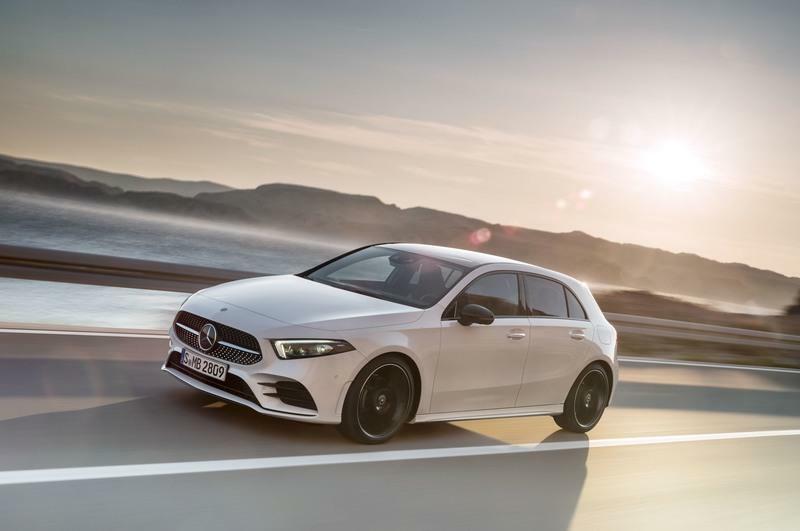 The new hatchback is definitely hot, and a four-door variant will enable drivers that can’t afford a big Merc (or not even a CLA) to surge into dealerships. A new AMG model placed between the A250 and the AMG A45 also makes sense given the 150+ horsepower gap between the two. 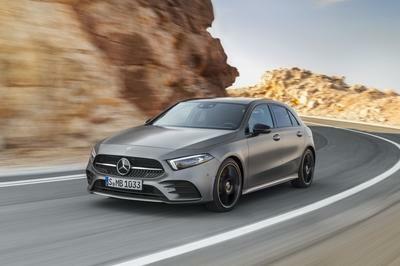 The good news is that unlike the hatchback, the sedan is offered in the United States, where Mercedes-Benz really lacks a competitor for the higher performance versions of the Audi A3 Sedan. Read our full review on the 2018 Mercedes-Benz A35 Hatchback.